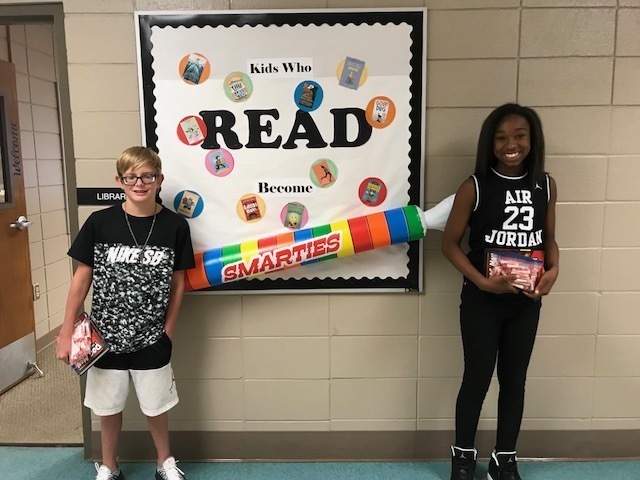 These “Smarties” won the guessing jar at the NMS Library at Open House. 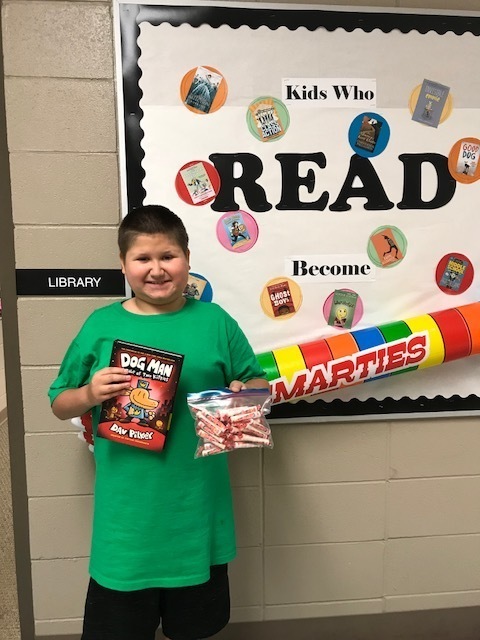 They guessed correctly the number of smarties in a jar and were awarded a package of smarties and a “Dog Man” by Dav Pilkey book. Winners were Nathan Lafever, Jackson Grissom, and Ba’Niya Welch. Congratulations!